Our indoor restaurant dining table features a popular X style base that can be found in bistros, cafes, and diners around the country. 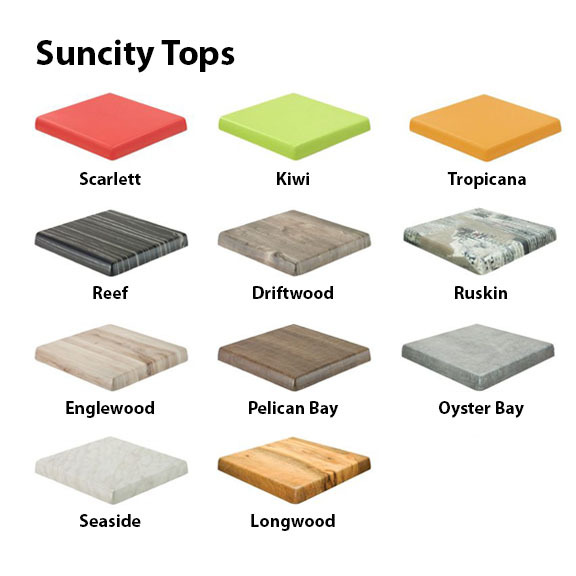 The durable Suncity top that has been laminated with a heavy-duty melamine resin. Molded from one solid piece of cast iron with a 3" diameter post. Long-lasting quality at a great price. Select the top design and shape that matches the atmosphere of your commercial business. This restaurant dining table is supported by a 1-year warranty. Need help finding the furniture that you desire? Call our professional staff and we will review all of our restaurant supplies to get you what you're looking for, within budget! 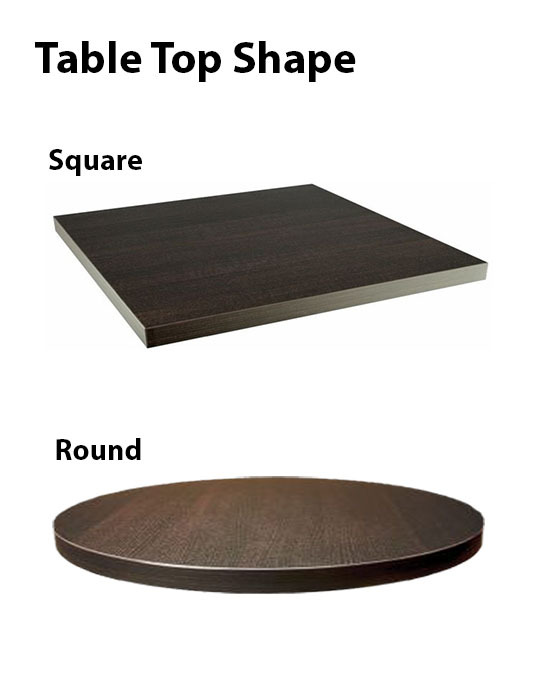 • Dimension: 24" x 24", 28" x 28", 32" x 32" or 36" x 36"
Table Top Diameter 24" x 24", 28" x 28", 32" x 32" or 36" x 36"